Training and workouts have never been more comfortable with our selection of vibrant and colourful capri leggings that match style with equal amounts of technical details. Capri leggings are a great alternative to shorts – which can be worn for chilly nights, casual occasions, or if you just want that bit more coverage. 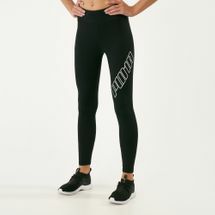 Women’s capri leggings are one of the most versatile pieces of sports fashion that you could own, which look great as a minimalistic look or with long and layered tops. Browse and shop for some of the finest women’s capri leggings right here from our online store at Sun & Sand Sports. 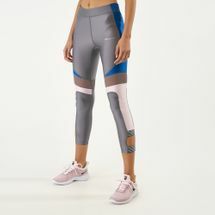 Every spring, retail stores are stocked with capri leggings of every colour and style because they are the staple fashion statement for women. Comfortable and breezy, women’s capri leggings are designed for women of all shapes and sizes. Capri leggings are those that are cropped anywhere between the calf to above the ankle which gives you the perfect, summer chic look. Even with active wear, Capri leggings are best to enable flexible movement during training ensuring breathability in a lightweight design. You can create fabulous looks by pairing a pair of simple white capri leggings and a plain black layered top, or capri leggings with a plaid shirt and denim jacket, or get party-ready by pairing your leggings with a silky blouse. With capri leggings, your gut is your fashion guru – the more comfortable you feel, the more confident and stylish you are. If you’re looking to pick up a pair of women’s capri leggings, or if you’re looking for branded capri leggings in Dubai, Abu Dhabi or anywhere in the UAE, start shopping online with us today and have your order delivered straight to your doorstep. Pick and choose from the wide array of capri legging styles and materials available at Sun & Sand Sports.